Triple hours like 22:23 are highly mysterious and each time that we come across them we can’t help but ask ourselves questions about what they could mean. They are a way for the universe to get in contact with us, and it calls out by showing us a specific hour on a regular basis. It is important for us to pay attention to these signs in order to fully understand their meaning. Are you curious about the triple mirror hour 22:23 because of how often you’ve seen it? There are important reasons as to why you have noticed this hour and it has a significance. This hour carries messages, messages intended only for you. They are a form of guidance which allows you to reorient your life in the right direction. This hour can signify many things. 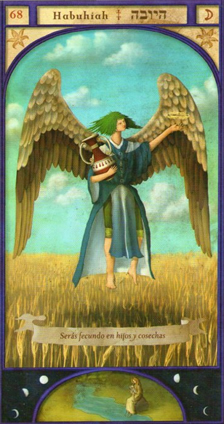 It could be your guardian angel calling out you, an answer to your questions, a sign from your subconscious, or more. You can figure out its meaning by using an interpretation of the guardian angels or an analysis of numerology. Habuhiah is the guardian angel of fertility and healing. He uses the triple mirror hour 22:23 to communicate with you. He tells you that he will bring you a high level of fertility, not only the kind needed for procreation but fertility of the Earth as well. With him you will have highly bountiful harvests. This guardian angel is your patron and protector and is also telling you that he is able to cure all your ills while also giving you a constitution of iron. If you work as a doctor he will be of undisputed support in guiding you and allowing you to easily treat your patients. He will shine his light upon you if you practice therapy, as well as energy, metaphysical, or spiritual treatment and care. The guardian angel Habuhiah tells you that he will give you the capacity to restore order to and regulate your feelings of envy and greed. Thanks to him you will find balance between any disconnects and discrepancies to allow you to combine the qualities of both your body and mind together. You are able to once again find harmony whenever you find yourself desynchronized. He is there to help and support you in adjusting to divine norms. Through the triple mirror hour 22:23 Habuhiah wants you to know that he will gift you with a love for nature. Under his influence you will develop a love for the countryside and wide open spaces. He is the angel of farmers and harvest. Thanks to him, nature is made abundant and you are given the power to create, but beyond this he is also letting you know that he will protect you from poverty, insect attacks, famine, fruitless soil, and more. In case of health concerns such as cancer, bulimia, anorexia, joint diseases, kidney problems, tooth aches, acne, burns, skin problems, etc., he is indicating that he will be there to help you heal more quickly while also aiding you in your fight against the illness affecting you. What does 22:23 mean in Numerology? 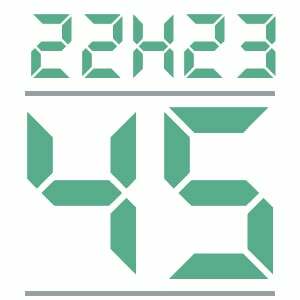 When the numerology of the number 45 is associated with the triple mirror hour 22:23, there are several different messages that it is trying to send you. The numerology of this number heralds many changes in your life especially on the emotional level, but because these changes may lead to times of hardship you need to remain strong and courageous. Be careful of a kind of imbalance which may lead to discontentment, arguments, or bad choices. This angel number asks you to better manage your emotions, conquer your inner battles, and demonstrate the ability to adapt in order to quickly and easily make it through the difficult times which you may face along the way. Once you have found harmony in your life you will be happier professionally, socially, and emotionally. The number 45 is a sign that you need movement in your life in order to feel fulfilled. You enjoy life's little pleasures and you know how to overcome the risks which they entail. This number suggests travel, changing of workplace, moving house, etc. You are not the kind of person to feel sorry for yourself, you enjoy novelty, and you have no appreciation for the daily grind. You enjoy freedom in all areas of your life. In numerology this number’s influence makes you the kind of person who captivates others through your words, charm, and spirit, without being too emotional. However you are also a sensual and passionate person capable of demonstrating great emotionality. This can only bring pleasure to your various conquests. On the professional level you are constantly seeking contact and movement thanks to your flexibility. You like to invest in short-term goals. You are curious and intelligent but you are also an excellent speaker who finds it easy to adapt. You are also capable of planting the seeds of high-quality ideas as well as allowing them to blossom. You have all the assets you need to build a successful career. 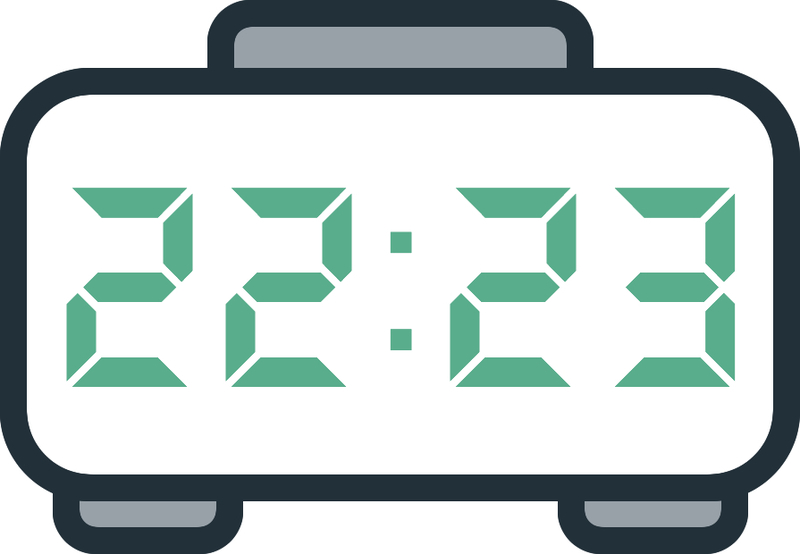 Any comment on the 22:23 mirror hour?